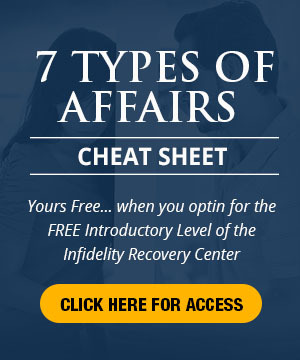 For the past decade, thousands struggling with infidelity have come to this website to find peace, hope, and relief from the devastation of their spouse’s extramarital affair. Many have divorced, but found better ways to cope with the pain and transition. And although many relationships stricken with infidelity do in fact end, many also succeed. Many succeed far beyond the expectations of either spouse. Thousands of couples who have stumbled upon this site have found ways to cope with the devastation and turn it into a new beginning. Some even say the affair was the best thing to happen to their relationship…crazy huh? Infidelity Trust Issues: Is it Possible to Rebuild Trust? Yes, it is possible. It has been possible for many, those who have made a conscious decision to use the affair to learn. They have learned more about themselves, learned more about their partner, and improved their overall state of well being in a profound and life-altering way. This does not happen overnight, but it can happen. And as it happens, if you let it happen, you will be blown away just like many others. 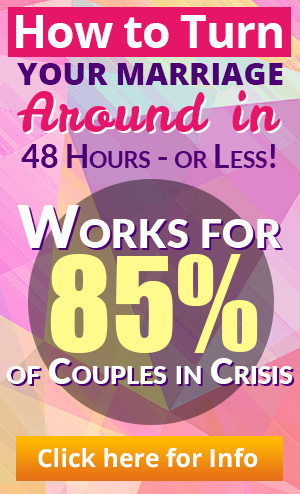 Please read the real life testimonials below to see how so many people have used this site and/or Break Free From the Affair to move past the extramarital affair in order to deal with their infidelity trust issues and save their marriage. I believe I have identified the kind of affair my husband took part in, and I have been able to understand several of the key factors that are a part of this type of affair. Also, in my upset and anger, I considered a revenge affair which is totally uncharacteristic of me. The book helped me to think through the situation and see that it would in no way help to improve the relationship. Discovering I am not the one to blame; I am not alone; personality types related to types of affairs; understanding the factors behind the affair. Calmed me down, and helped me understand what I was dealing with. Break Free made me feel right about my strategy of allowing him to stay even though he is still seeing the OW and trying to decide what to do. Break Free From the Affair gave me insight on how to communicate and what words to use. Also, the Marriage Makeover ebook provided some excellent relationships tips on trust building. It helped me to realize what I should do to take care of myself. I learned that I was not alone in all this. Your ebook gave me hope that our marriage may have a chance at surviving down the road. I was more able to understand what he was going through so I could plan a strategy. It finally brought home to me the need for me to “focus on myself.” It showed me the things that I was doing wrong in dealing with the affair. I’ve learned that this is not my fault. I’m currently working on rediscovering me because I’ve realized that I have done a lot of self sacrifice through the years and am no longer willing to do that since his affair. The ebook is excellent at helping to understand the different types of affairs and has made me more focused on how to possibly heal this relationship. Your book has been very helpful as well as your website. The information you’ve given has made me feel more empowered rather than just a victim. My husband’s affair was revealed 41/2 months ago when he suddenly left to live with OP – I have read a lot and your material was amongst the best thanks. I was at a standstill because I didn’t know what to do next–I was afraid to do anything. Now I know what immediate actions to take and how to conduct myself. This was a bit of a life saver for me because I have pretty bad insomnia now. Downloading and reading this book was much better than obsessing my way through the early a.m. It is helping me refocus on getting my own act together. Thank you for helping me realize that I am not the only person in the world going through this and for answering the questions that have been tearing me apart for the past two weeks. Break Free helped me to deal with the flood of emotions that come up. I can now keep things in perspective and not go wild with out of control emotions. For more information on infidelity trust, click the link above.